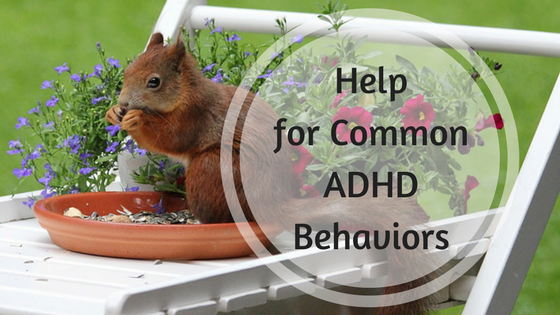 Attention Deficit Disorder with Hyperactivity (ADHD) can present many challenges in completing one’s education, holding down a job and maintaining personal relationships. I would know because in the course of my life with ADHD I’ve struggled in each area. Although I remained undiagnosed until my early thirties, I am happy to share it is not too late to identify those challenges and make the necessary challenges to not only cope but succeed. My strategy has been to tackle one at a time. This required being brutally honest with myself, seeking the counsel of a trusted friend, and conducting lots of research to formulate a plan for change. Most importantly, it required a humbling of myself and instead of continuing to blame God for my circumstance, to trust He had a plan for my good in allowing ADHD in my life. Excuse Me Are You Listening? Building meaningful personal relationships can be incredibly difficult when you are so stimulated by your surrounding environment that it is almost impossible to maintain attention on just one person and what they are saying. I would inadvertently come across as disinterested and flat out rude especially in social situations such as weddings or crowded parties. For most of my life I had absolutely no idea I even displayed this behavior, never-mind how it might effected others. My looking beyond the person speaking was often perceived as my searching for someone else to talk with as if this person wasn’t interesting or important enough for my attention. Once was inattention was brought to my attention, I began the process of teaching myself to focus. The first humbling step was to enlist trusted friends to help me recognize my wandering eyes. I have to admit that some of these initial conversations consisted of me hearing very little as I spent most of the conversation reminding myself to keep looking at the person speaking. It was exhausting but absolutely worth it. Busy parties will always be a challenge but awareness and practice has helped me be more present. Now my behavior matches with my desire to be fully present to whomever I am blessed to be speaking with. In addition to inattention causing great difficulty in communication and building relationships, being impulsive adds an additional wrench. Afraid I will forget what I want to share I would often interrupt or cut off people speaking to speak my mind. As soon as I had a response to your thought I had to spit it out – it was truly an impulse that I felt no control over. Often my excitement came from a strong desire to make a connection with the speaker, however, my technique had the exact opposite effect. If I did manage to keep the thought inside until my companion was finished, I probably did not hear anything else as I continued to repeat my next comment until my opportunity to share. This ADHD behavior was a little more difficult than the first to manage. This required a much greater leap of faith. A surrendering to my desire to share and become a much better listener. To care more for what was being said than to what I wanted to say. Here, I utilized my Guardian Angel asking them to hold the thought for me. If when the conversation opened I had forgotten, I learned to trust that the Spirit had held my tongue and veiled my thought for a good reason. Once, I allowed myself this freedom and humility, not only did I find myself engaged in more meaningful conversations but I soon realized, I rarely forgot what I was going to say. The biggest change came in my praying before social events to ask for God’s grace, blessing and guidance in all my interactions with others. After years of these awkward social interactions, with me spending far too much time afterwards replaying all my conversations and feeling either guilty or embarrassed by my behavior. Unaware that these were common ADHD issues and not personality flaws, I spent many years thinking very little of myself. My low self-esteem caused me to often speak very highly of myself. Sure the best way to win friends was to be sure they knew all the good things about me most of my conversations consisted of my bragging. So desperate to be liked or admired, I’d look for any opportunity to slip in my latest achievement. I figured since I was happy to hear what everyone else had accomplished that surely made it perfectly fine to share about me. However in the end it was really just bragging and fishing for compliments and rarely did it win over any friends or make me feel better about myself. One of the first steps I took after acknowledging these three areas in my social communication that needed adjusting was to apologize to anyone I felt I may have offended or distanced. People were so kind and understanding. The key was not to dwell on the past or use it as an excuse to continue interacting with others that way. I acknowledged, apologized, asked for help then made a plan and worked every day at it. My friendships increased and my self-esteem improved; most of all I learned to trust a little more in God’s plan for my life.